The Barcelona team that Pep Guardiola coached between 2008 and 2012 is widely considered the best club side of the modern era. They were extraordinarily entertaining and, most importantly, won a host of major honours along the way. In just four seasons, Guardiola’s Barça secured three league titles, two Copas del Rey, three Spanish Super Cups, two UEFA Super Cups, two FIFA Club World Cups and two Champions Leagues. Guardiola could have stayed for longer but the demands of the job eventually took their toll and he left in the summer of 2012, to the bitter disappointment of everybody associated with the club. It was the end of an era – an era which we may never see the like of again. Guardiola will be the first to admit that he was so successful at the Camp Nou thanks to the players he had at his disposal. He was blessed with the likes of Xavi Hernandez, Andres Iniesta, Dani Alves, Gerard Pique, Carles Puyol, Thierry Henry, Eric Abidal, David Villa, Samuel Eto’o and, of course, Lionel Messi all in the same squad. But the Catalan coach still deserves immense credit for the way that he got them all playing together during his four years in charge. Eto’o only lasted one season under Guardiola but scored 36 goals in 52 games that campaign, including the opener in the 2009 Champions League final against Manchester United. The Cameroonian striker has come out and given an eye-opening interview, in which he claims he deserves credit for Guardiola’s success during the 2008-09 campaign – and not Messi. Messi netted 38 in 51 games during Guardiola’s first season – including the second of Barça’s two goals in their 2-0 win over United in Rome – and went on to claim his first Ballon d’Or award. 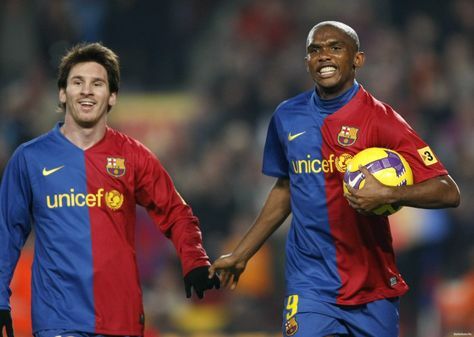 But in an incredible interview with beIN Sports, Eto’o has said that it was him – not Messi – who inspired Barça to glory that season. He also says Guardiola ‘didn’t understand the squad’ during their time working together and revealed how the current Manchester City boss went on to ask him for forgiveness. “Pep Guardiola has lived his whole life in Barcelona, but in the years I spent there he didn’t understand the squad. 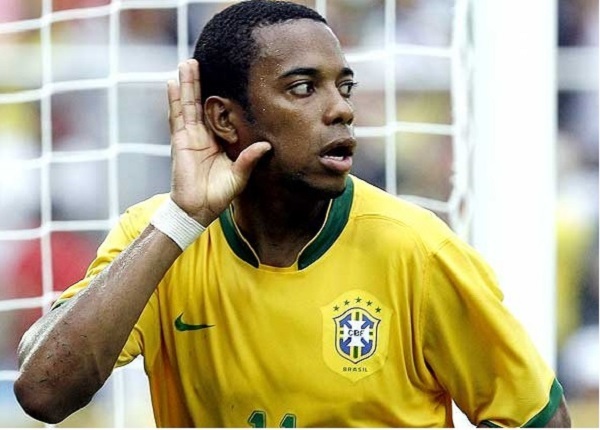 He didn’t live the life of our group,” Eto’o said. There’s no denying that Eto’o was brilliant during his one season with Guardiola, but it seems that he’s bitter towards his former boss and Messi for the credit they’ve both received for the team’s success since then.